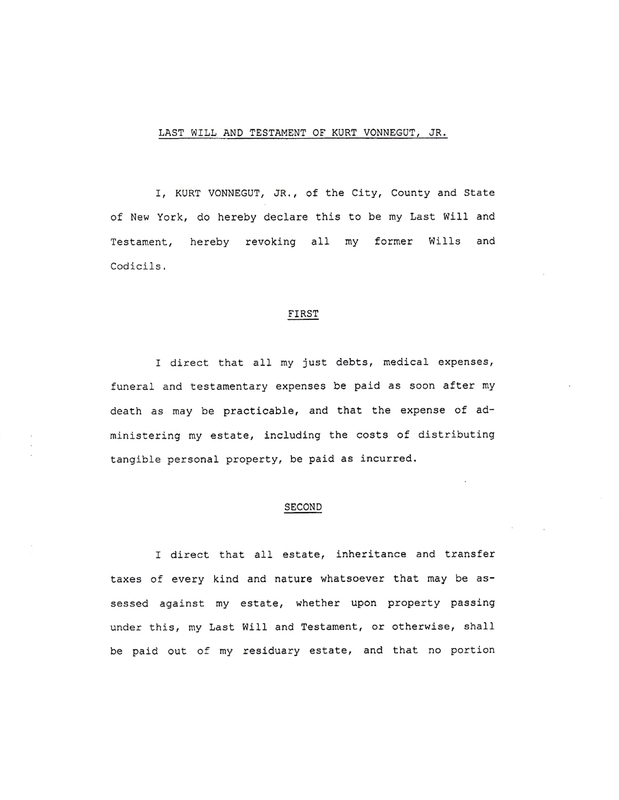 Kurt Vonnegut Jr. was one hugely talented American author. In a career spanning over 50 years, Vonnegut published fourteen novels, three short story collections, five plays, and five works of non-fiction. He is most famous for his darkly satirical, best-selling novel Slaughterhouse-Five. 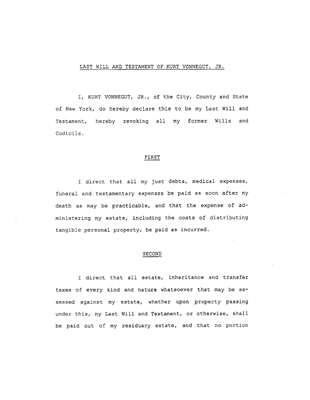 We are pleased to offer his 28 page will, with many bequests.